If you want to keep things simple, go with a few bottles of an Argentinian Malbec. 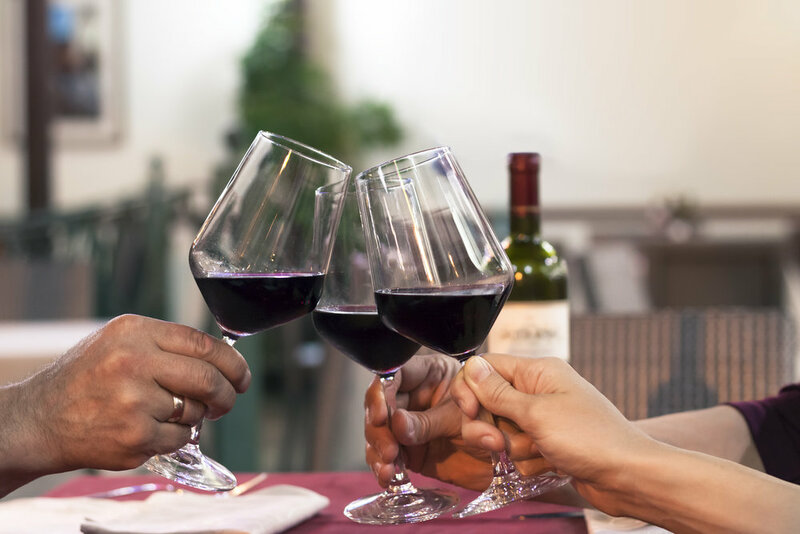 “A hearty red grape of French origin,” according to Wine Enthusiast, Malbec “is now exceedingly popular in Argentina.” It’s also the wine you’re most likely to spot multiple bottles of at a typical asado cookout. This full-bodied and fruity wine often features notes of blackberry, oak, and spice. As is the case with a decent Malbec, a Cabernet Sauvignon is another full-bodied wine that pairs well with an asado cookout where a wide variety of meats are on offer, because it does such a decent job of rinsing the palate between bites, or between differently flavored meats. Go to a traditional asado cookout pretty much anywhere in Argentina, and you’ll probably spot at least a couple bottles of reserva or gran reserva wines. These titles imply that the wine inside the bottle is of a particularly high quality. A reserva, for instance, has been aged for at least three years, while a gran reserva has been aged at least five. Offering these wines to your guests is a clever way to let them know that you know your way around a wine shop, and that you have the money to buy the good stuff. Those of you who aren’t big fans of red wine will be pleased to know that there is a place for a bottle of white at an asado cookout. Many asado hosts offer their guests cheese plates and sweetbreads before the main event comes off the grill. Sparkling white wines, such as a Chardonnay, generally accompany these courses. In fact, sparkling wines, which haven’t historically seen much love in Argentina, are becoming much more popular during dessert time. So, if you happen to be serving any sort of traditional Argentine dessert as your asado cookout comes to a close (flan with dulce de leche, for instance, or perhaps a ricotta cake), feel free to accompany it with a bottle of bubbly. Where the actual asado cookout and the wine you’ll be serving and drinking are concerned, however, you really don’t need to worry too much about which bottle to serve or the proper time to serve it. Frankly, that would be just a touch un-Argentinian. Remember: A true Argentine cookout is an hours-long affair, and just as barbecues are here in the States, its true purpose is to encourage good friends and family to gather together over food and drink. It’s a style of gathering, you might say, that’s as old as time itself. So, try not to get too hung up on whether you can afford a half-dozen bottles of $120 Malbec. If you come prepared with some solid, full-bodied red that you and your guests will genuinely enjoy—and, of course, enough meat to pack the grill (500 grams, or about 17.6 ounces of meat per person is considered standard)—you’ll have everything you need to experience an asado that any Argentine would be proud to attend. Of course, no asado-style cookout is complete without an Argentinian-style grill. Visit Gaucho Grills today to find a grill that lets you cook steaks as if you’re at an authentic asado.